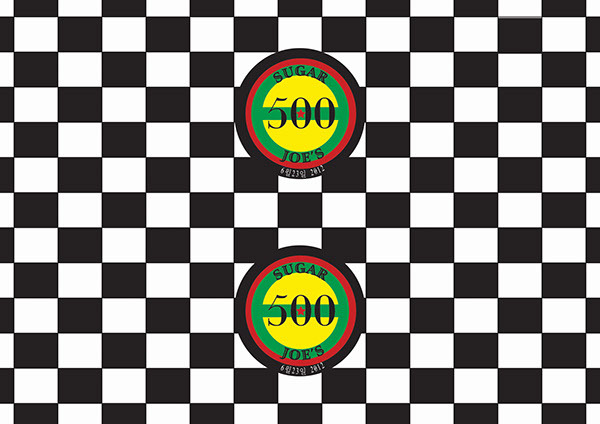 Template for a set of ppromotional stickers to celebrate Sugar Joe's 500th gig. 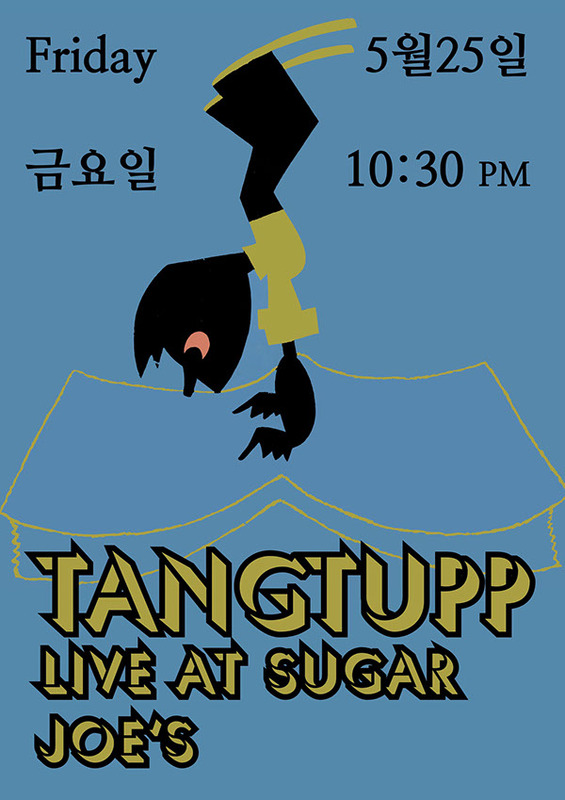 Gig poster for local musician Tangtupp. Based on an old WPA poster. 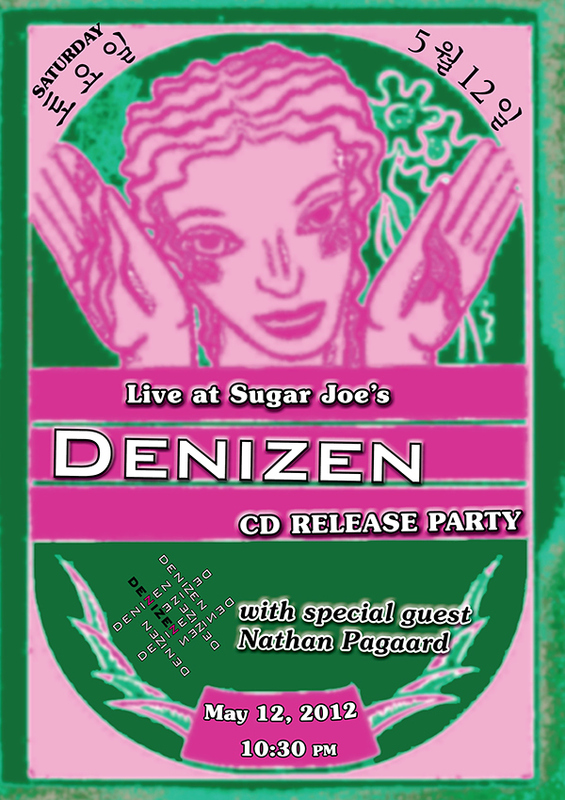 Gig poster for local band Denizen. Based on an old WPA poster. With this pposter I was playing around with gradients in Photoshop in an effort to create a color scheme that would be visible in low barlight. Various promotional materials I designed for Sugar Joe's, an expat bar in Daegu, South Korea.